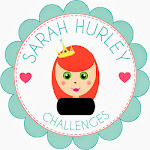 Sarah Hurley 365 (Formerly Sarah Hurley Challenges): Neon Zendoodle Card. Hello, and Happy St Davids Day! Who can believe it is the 1st of March already? It's Carol here today sharing a card that is a little bit different from my usual makes. I love Sarah's Zendoodle range for the Silhouette and was delighted when the range of stamps was released, even more so with the set of Zendoodle Borders & Bits Stamps. They are great for making your own backgrounds as they have lots of different sized circles, hexagons and 2 borders. I recently visited my local craft shop and totally fell in love with neon embossing powders...who wouldn't? and knew I had to use the two together! I actually got so excited making it, I forgot to take my usual step by step pictures so will do a few wee bullet points. 1. Cut a piece of black card to fit onto a C6 card and wipe it with an anti-static bag. 2. Ink up the Zendoodle Circles with Perfect Medium Ink then sprinkle over your embossing powder, I did each colour separately. 3. 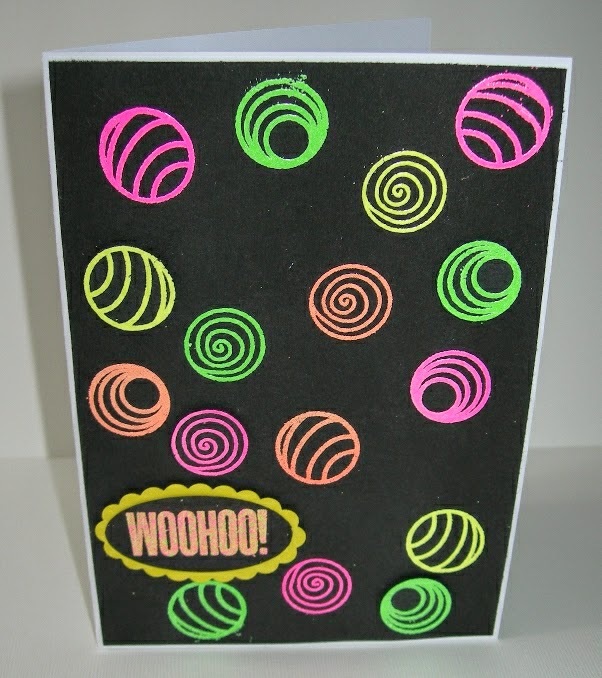 On a separate piece of black card make some extra neon circles to cut out and pop onto 3d foam to give your card some dimension. 4. Use the "Woohoo" from the Everyday Saying Stamps and ink up with the Perfect Medium and sprinkle with embossing powder. I made a custom mix from all 4 colours. 5. Stick your black layer onto your card, punch out your sentiments and there you have it! A neon zendoodle card! I love the neon on black Carol it's very striking.